Brixton Pounds by Charlie Waterhouse via Flickr creative commons. B£ managing director Tom Shakhli told Brixton Blog, "Our cash machine is the latest in our challenge to the conventional view that we're moving towards a cashless society, and gives locals and visitors to Brixton an opportunity to experiment with money that celebrates community and creates conversations rather than closes them off." B£ notes can be spent in more than 300 independent businesses in the area. 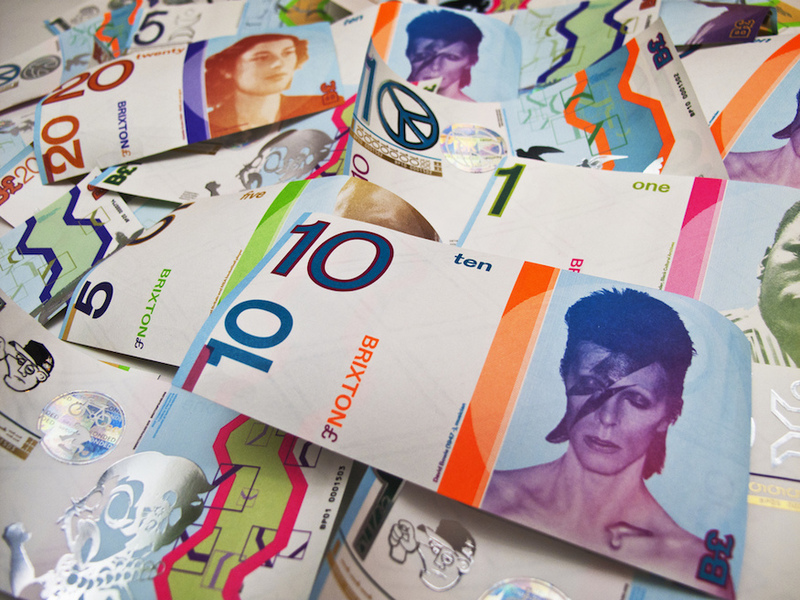 The rather funky B£ notes (see image above) feature local celebrities including David Bowie and Luol Deng, as well as some public art from the area. 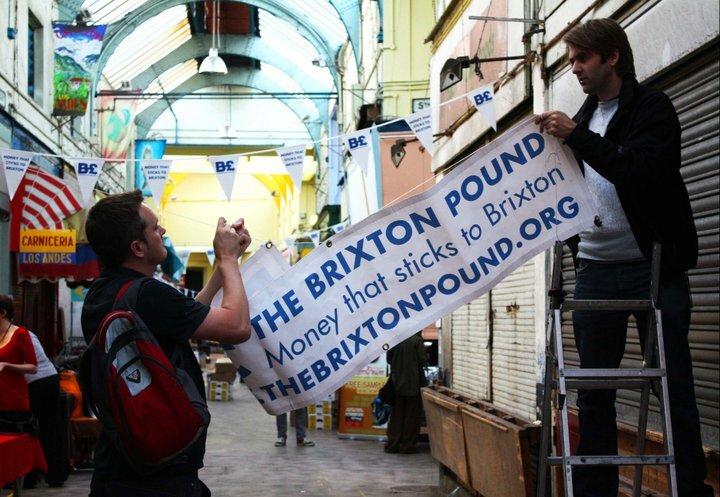 B£ is designed to keep money in the area, encourage people to support local, independent businesses, and build community connections in Brixton. If you're hoping to use the new ATM, it's in the covered market between Coldharbour Lane, Atlantic Road and Electric Avenue, and is available during the market's operating hours (8am–11:30pm Tuesday to Sunday and 8am–6pm on Mondays).